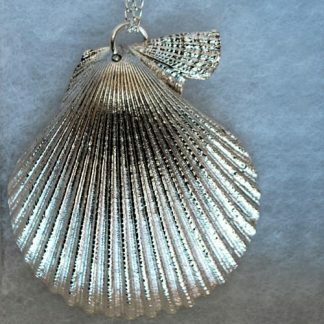 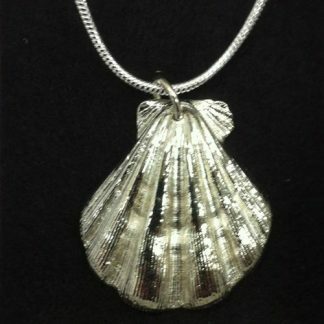 A silver seashell necklace handmade by The Metal Press in Pembrokeshire! 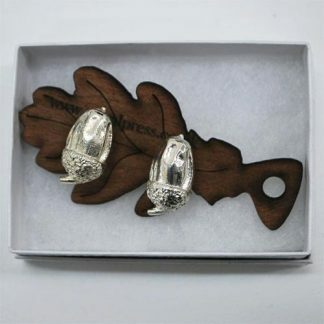 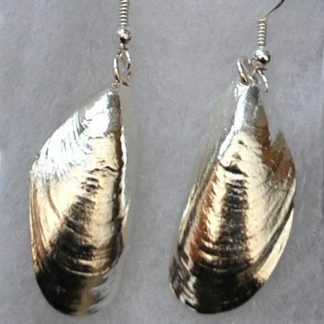 Two halves of a miniature mussel shell cast in pewter and silver-plated with freshwater pearl hanging inside. 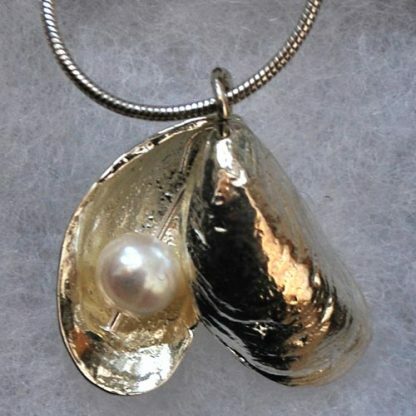 mussel shell hangs closed and reveals the pearl inside when you move! 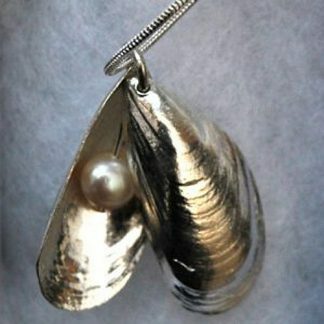 A perfect gift for a mermaid.